Avaya is a telecommunications company which specializes in enterprise network, telephony, and call center technology. The company was formerly the Business Communications unit of Lucent Technologies. DDO has worked with Avaya to design the interaction of products in several areas of business, including telephony and call center products. When Avaya was developing the next release of its call center reporting product for small business, the development team asked DDO to look for opportunities to improve the interaction of the product before release. (The interaction of the product was far along; the team was looking for ways to quickly, substantially improve product design). 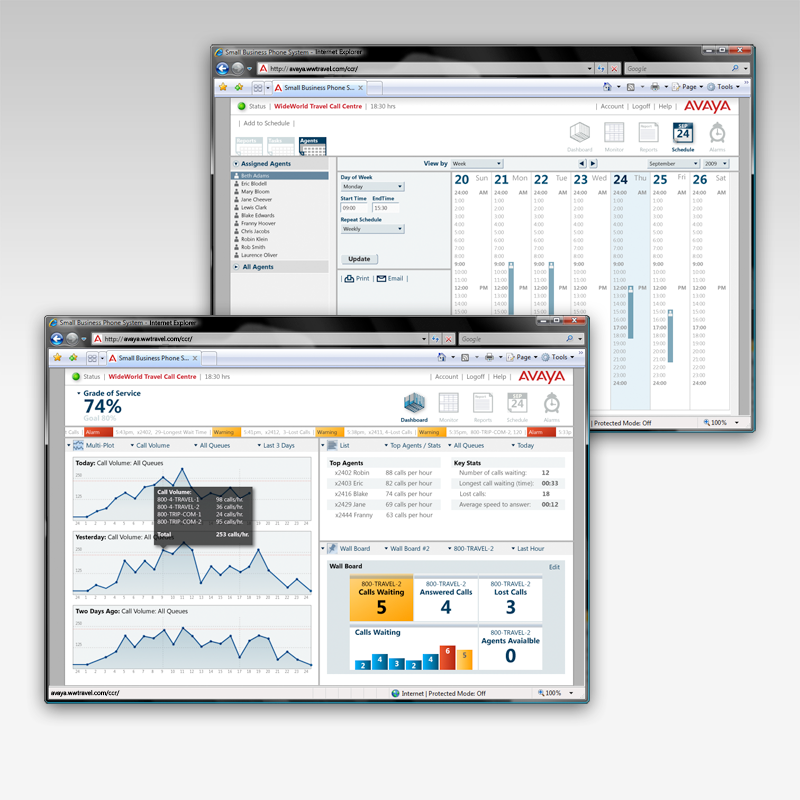 In addition, Avaya sought a new visual appearance for the product. DDO refined key interactions and provided a visual specification for the product. Visual assets were provided as XML files to provide efficiency in the development process. Interaction and visual design improvements for the product are being introduced over several releases.